Showing you some pictures of a few things I've been working on. 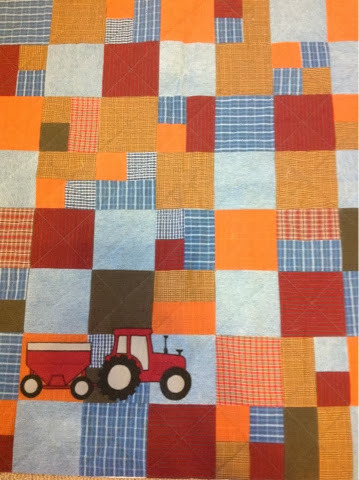 This is a simple quilt from denim and home spins with a tractor and wagon appliqué. 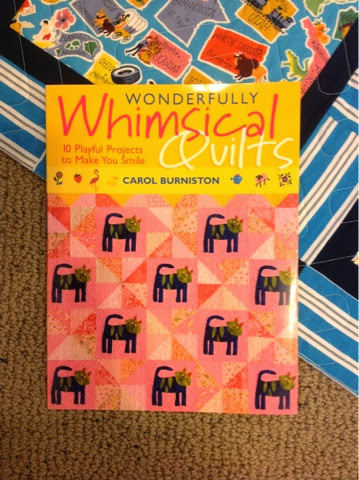 I love bright colors for kids' quilts. 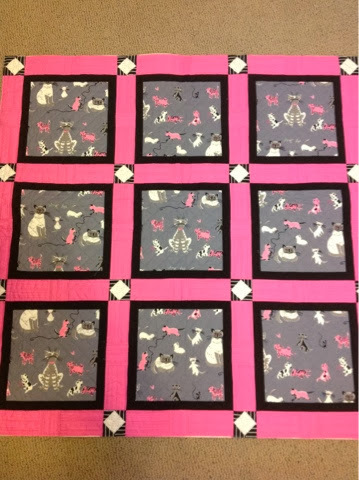 When there is a baby shower before the baby is born, then it's nice to have a quilt that could work for a boy or a girl. 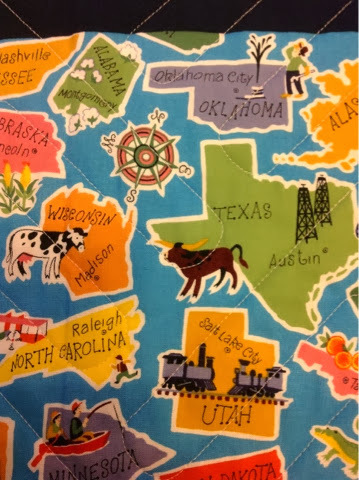 I think this one fits the bill. 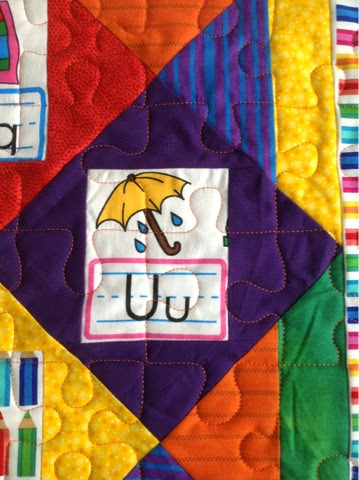 I am not sure where I found the ABC fabric- it's been in my stash for quite a while. 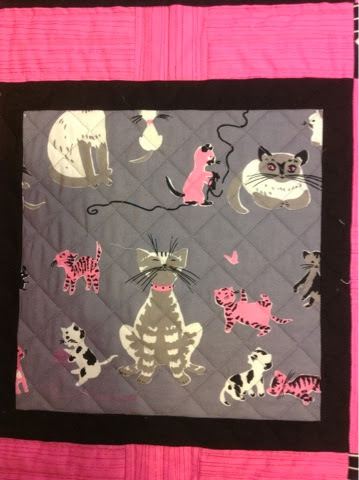 I decided to get it out and turn it into something. I'm really happy with how this turned out. 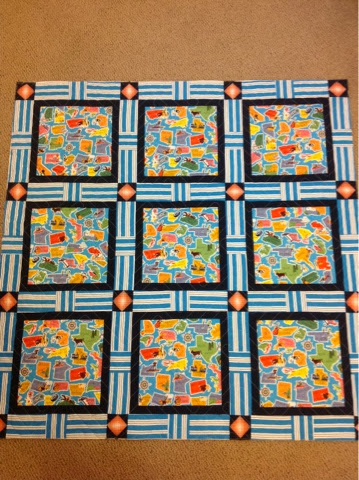 It is my own design. 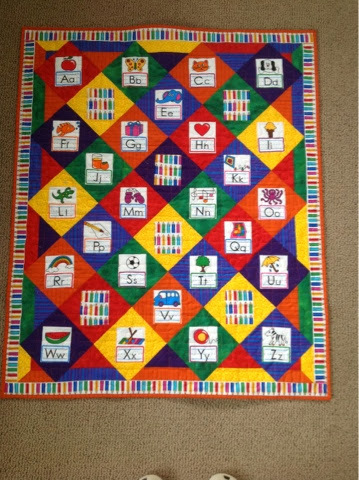 It's quilted with orange thread in a puzzle pattern. 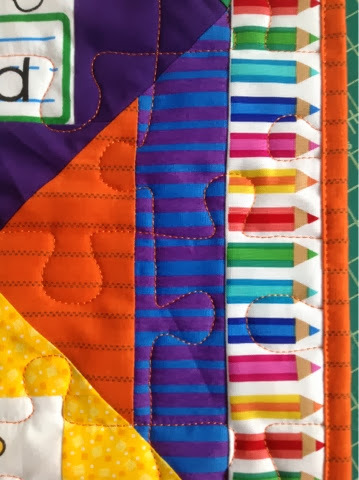 This fun pencil fabric makes a fun border.